Disney's blockbuster hit, Oz the Great and Powerful, lands on Blu-ray combo pack this week [June 11th]. Disney did a phenominal job of bringing the magic of L. Frank Baum’s story telling, to the big screen. Now, you can bring the magic home! "That’s very true. We shot the movie in Detroit and they hired Lance Burton to come out and train me there. [Oz The Great And Powerful director] Sam Raimi was very insistent that I have two weeks of magic training, so I went to Detroit two weeks early in order to do that" said Mr. Franco. "Lance taught me a lot of tricks, so I got to the point where I could materialize doves out of nowhere. I start with a flame in my hand and then I turn it into a dove. Or I take off my gloves and I turn them into a dove. I also know a ‘rabbit out of the hat’ trick and other things like that. I did all that work and then the scenes that were going to feature the magic tricks turned out to be too long, so they were quickly cut from the finished movie. We never got to see them on the big screen" said Franco. "Sure, I could do that! A lot of the tricks involve intricate preparations, so I would need an assistant like Lance Burton to help me set them up – but I could pull it off. If you have any kids parties and you want to pay me a lot, I’ll definitely come and do it. [Laughs]" said James. "It was great because they all played very different witches, so the scenes that I played with all of them were all very different. With Mila’s character, Theodora, I play more of a seducer and charmer. Rachel’s character is trying to dupe me, so I play a little bit more of a fool or a buffoon with her. And then with Michelle’s character, Glinda, it’s more of a straightforward romance. It was nice to have that variety" said Franco. "I got to work with three of the best actresses working today, which was very exciting. They are all very different actresses, and they all played very different parts. But one thing I can say about them all is the fact that they are very good at doing research and background on their characters. I think Michelle read most of the books and did a bunch of research that really manifested itself in her scenes. She was very focused on detail. And with Rachel, we only had one or two scenes together, but she was very good at improvising and looking for alternative takes once we’d got the scripted scene down" said James. There’s always more to learn. I guess it would be cool to write a play one day. I love the theater and I love going to plays, so that might be good for me. I’ve only acted in small theaters in Los Angeles, but I like acting on stage in front of live audiences, so that would also be great. Who knows what’s next? I’ll guess we’ll just have to wait and see..." said James Franco. 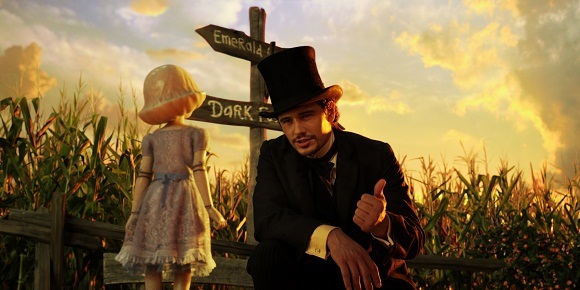 You can catch James Franco in Oz the Great and Powerful - available on Blu-ray Combo Pack at reatailers nationwide - June 11, 2013. 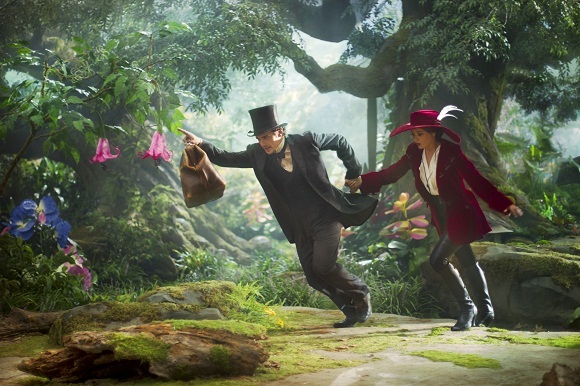 Oz the Great and Powerful is the perfect pick for your next family movie night! A back-stage journey through each of the visual effects process that brought China Girl to life including an interview with Joey King - and MUCH more! 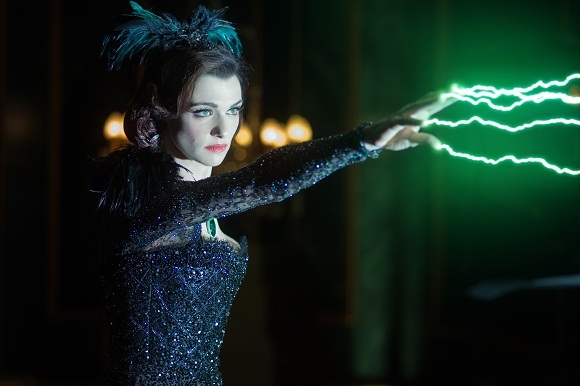 Ready to experience the magic of Disney's Oz The Great and Powerful? 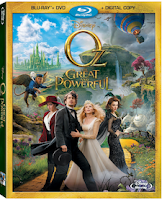 Disney is very generously offering (1) One Savvy Mom reader a Oz The Great and Powerful Blu-ray Combo Pack (Blu-ray + DVD + Digital Copy) [ RV $29.99]. Disclosure: Our thanks to Disney for providing a Blu-ray combo pack for review and an additional Blu-ray Combo pack through giveaway, for a reader. All thoughts and opinions expressed are our own.